Alex Giannascoli, who functions under the name Alex G, has built a sizable catalog—and a sizable following—on the back of his unending stream of music. But last year may have garnered the most attention for Giannascoli when, seemingly out of nowhere, his named turned up in the credits for Frank Ocean’s new albums, Endless and Blonde. For his part, Giannascoli had largely written and recorded on his own, with collaborators popping up here and there, but his work with Ocean served as a bridge to the work that’s found on his just-announced new album, Rocket. Coming May 19 on Domino, Rocket sees Giannascoli expanding upon the sounds he’s established over the past decade, and seemingly perfected on 2015’s Beach Music. Because of that, Giannascoli has released two songs from Rocket that show the record’s dual fascinations. There’s “Witch,” a song that deals in Giannascoli‘s effects-based experimentation and then there’s “Bobby,” a fairly straight-ahead country duet with Emily Yacina. 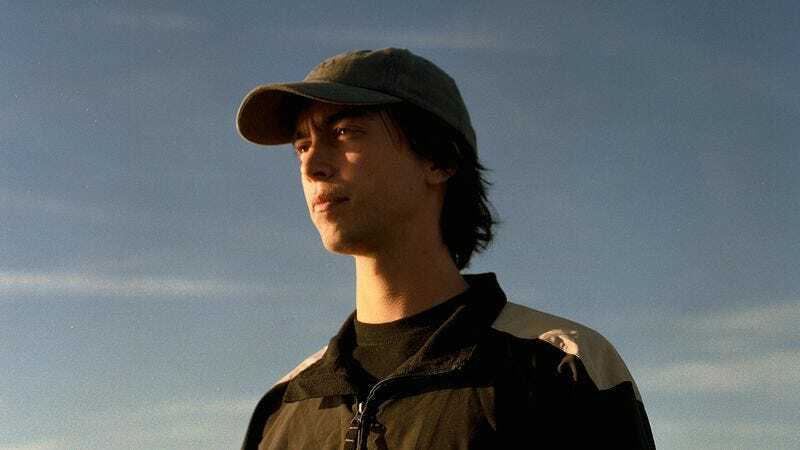 They show that this new Alex G isn’t quite like those that came before, with Giannascoli simultaneously embracing minimalism while also pushing his established sound into new directions. Pre-orders for Rocket are available now.